The animal control officer did tell me not to touch him once he’s trapped. Um, yeah, OK. That’s not a problem. 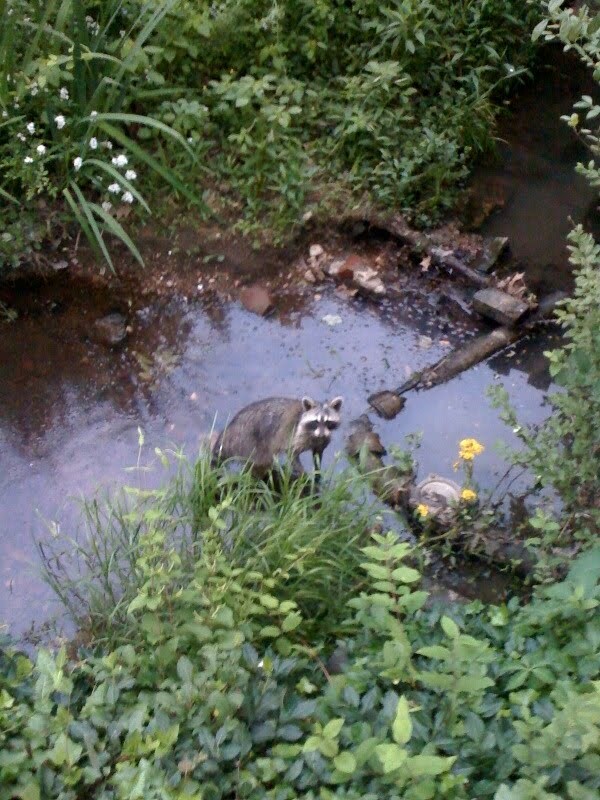 He also told me raccoon are all over this area; we just don’t usually see them. I told him my problem was that I keep seeing this one and he’s not afraid to come out in plain sight when we’re hanging out with our friends and their kids in the back yard. I wondered when the officer showed up this morning if he knew raccoons were nocturnal, but he did mention them coming out at night, so I guess he understands. I guess the officer doesn’t come out at night, so he set a trap at 9 a.m. Whatever works.